Cindy Crawford Perfume by Cindy C., Cindy Crawford fragrance for women was first launched in 2002 and is a spicy, floral fragrance and is the perfect scent to take you through your day. The perfume starts with the lovely notes of freesia and cyclamen, along with fruity black currant and a hint of pepper. 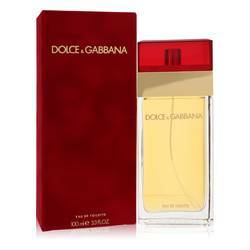 It then transitions to the magnificent floral notes of exotic orchid, mimosa, magnolia, gardenia, and jasmine. The fragrance finishes with the warm and comforting base notes of vanilla, cedar, Read More Read More and musk to complement and balance the flowery scent. This perfume is long-lasting so you won’t have to reapply throughout the day, and it has a moderate sillage to tantalize without being overwhelming. Cindy Crawford, who was born in 1966 in Illinois and worked as a supermodel through the ‘80s and ‘90s, jumped at the chance to launch her own fragrance line in the early 2000’s and released her first fragrance in 2002. The scents were developed by the perfumers from the house of Givaudan. All products are original, authentic name brands. We do not sell knockoffs or imitations.